In fact, she was just a very busy high school student. I don’t know about you, but I’m exhausted just reading these lists of activities. Sadly, she eventually became too exhausted to do any of it. This isn’t uncommon at all. We often find that many of our clients have been hypothyroid for prolonged periods of time, even as far back as early childhood or teenage years. Let’s jump right in and take a more in-depth look into this case study and see what interesting patterns we can point. Today, Sarah is 54 years old and perimenopausal. She has a family history of thyroid and heart problems. And she still has general feelings of being overwhelmed and wiped out. She has also given birth to 7 children, and had 8 pregnancies in total. She also experienced what she called an “adrenal crash” in 2011 (more on this in a minute). Without any energy to carry out daily activities, she went on bed rest, but never recovered her energy. Unfortunately, Sarah didn’t provide Forefront Health with any lab results. We would surely want to run lab tests to determine overall thyroid and hormonal status and state of metabolism. Yet, she did provide some important temperature and pulse measurements. Basal Waking Temperature – Consistently elevated above what we consider normal, 97.8°F (36.5°C) to 98.2°F (36.8°C). Hers averaged 98.4 F (36.9 C) indicating an overactive nighttime/morning stress response. Afternoon Temperature – Low afternoon temperature, which indicates a temperature drop across the day settling to an average of 97.5 F (36.4 C). This below normal temperature indicates and confirms poor thyroid and metabolic function. What Sarah has been dealing with her whole life is a pronounced state of nutritional and hormonal depletion. This dates back all the way to her teenage years, when she was doing too much, while her body was unable to compensate. Stress (of any sort) increases your body’s need for thyroid hormone (and the other thyroid-protective youth hormones) and nutrition. If not addressed, chronic stress leads to hormonal and nutritional depletion, and eventually, physical degeneration. Throughout her whole life, Sarah was generally under chronic stress. Her teenage years were spent overcommitted to too many activities. She experienced multiple acute traumatic stressful situations (i.e. assault). After college, she spent several years doing exhaustive international work with children in Central and South America (with potential exposure to parasitic infection). In addition to all of this, she has given birth to, and nursed 7 children. This is just a short list, but her entire life she’s never really caught a break. Bearing in mind that Sarah is now 54 years old, with symptoms of depletion dating back almost 40 years, this is not something that is easily fixed. In fact, we have to be very careful when addressing situations like this one. Remember, stimulating thyroid function increases your metabolism, which also increases your use of essential thyroid vitamins and minerals. So, too much hormonal stimulation without adequate nutrition can further deplete nutrients and slow the healing process. The truth is, this will most likely be a slow and long road to recovery. I mentioned before that Sarah described experiencing what she called an “Adrenal Crash”. Her body shut down, couldn’t produce energy, and she was essentially forced to bed rest. The early warning signs were there. She developed arthritis in college. Arthritis develops in hypothyroidism when the demand for stress hormones increases beyond what your body is capable of producing. 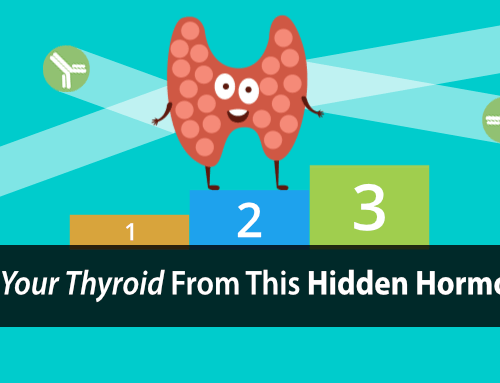 The important thing to understand is that thyroid hormone is required to produce stress hormone. So, the more hypothyroid you become, the greater the demand for stress hormone, yet the less stress hormone you can produce. Eventually you become unable to keep up with the demand and your body is no longer able to compensate. That’s when really bad things begin to happen. Her doctor tested her adrenal hormones, which were extremely low, and recommended bed rest to recover. She spent 10 to 12 waking hours per day resting in a chair or in bed. Rest is good but not enough. There was much more that she could have been doing during this time to help herself recover, such as light-therapy. 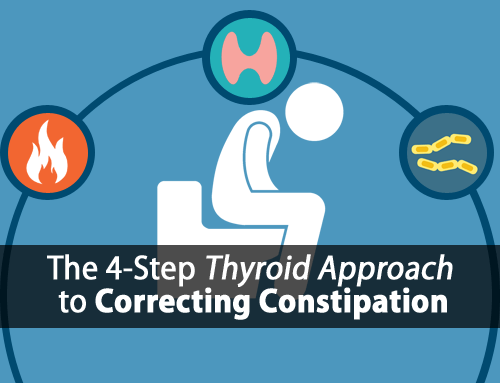 Even using our 3 Food Triple-Thyroid Boosting Daily Protocol could have provided additional support at this time to start moving things in the right direction. You can get all the details about this triple-thyroid-boosting protocol right here. Sarah also experiences a sensitivity when taking thyroid hormone, causing elevated heart rate and increased feeling of stress. In some cases this can be caused by a magnesium deficiency or other nutritional deficiencies. In other cases, this is caused by elevated adrenaline levels. As mentioned, hypothyroid sufferers compensate by over-producing stress hormones. T3 makes you more sensitive to adrenaline, thus amplifying its effects. This doesn’t mean that you don’t need thyroid hormone. It simply means that we need to lower the dosage and multi-dose it during the day to toleration and increase the dosage slowly to toleration as the stress response is lowered. This is something we see all the time, which is typically handled very poorly by the medical system today. When in such a depleted and overly stressed state, we can’t just take the “pedal to the metal” approach. Sometimes we have no choice but to start with the bare basics. So, here are some recommendations we can start with. In cases like this, doing too much too quickly can be taxing to the body. In cases like Sarah’s, where the body has experienced prolonged and extreme nutritional depletion, it makes sense that we would start by restoring the essential vitamins and minerals that your body uses to carry out all its essential functions. The fat soluble vitamins (A, D, E, and K), as well as the water soluble B vitamins should be obtained through food sources (i.e. liver, dairy, and eggs), in addition to proper supplementation where needed. We would need to supplement B Vitamin carefully, in moderation at first, because it could overstimulate metabolism, which we want to avoid. In addition, we would recommend supplementing calcium and magnesium. Daily epsom salt and baking soda baths can help too. Finally, you must ensure that you are getting sufficient zinc, copper, and selenium. These minerals can be difficult to get in correct amounts. The safest and most effective way to get these important thyroid nutrients is from seafood, such as shrimp, or even better, oysters. They should be routinely obtained through diet. We don’t recommend long-term supplementation of these nutrients because these supplements commonly contain high levels of toxic heavy metals. Even though she may not be able to produce adequate stress hormones, the demand/stress response is still very overactive and needs to be addressed. Since she has a history of hirsutism (female facial hair growth), which is generally caused by an over-conversion to DHEA and androgen hormones, progesterone would be the best option for supplementation. The progesterone would also be especially important considering that she is now peri-menopausal and likely becoming more progesterone deficient / estrogen dominant. After the stress response stabilized a bit, we would recommend beginning to supplement with very small, tolerable amounts of thyroid hormone. Coffee in small amounts (more frequently if possible) to toleration to help protect the liver and promote healthy oxidative metabolism. Light-Therapy, as mentioned above, would also help. It helps to stimulate cytochrome c oxidase enzyme and increase ATP (adenosine triphosphate) in your tissue, which is your primary source of high energy production. Continued rest and minimal stress are also very important so as not to disrupt the progress up to this point. By replenishing the important thyroid nutrients and balancing that with slow and steady stimulation of metabolism, we can start moving things in the right direction without concern of further stress and depletion. 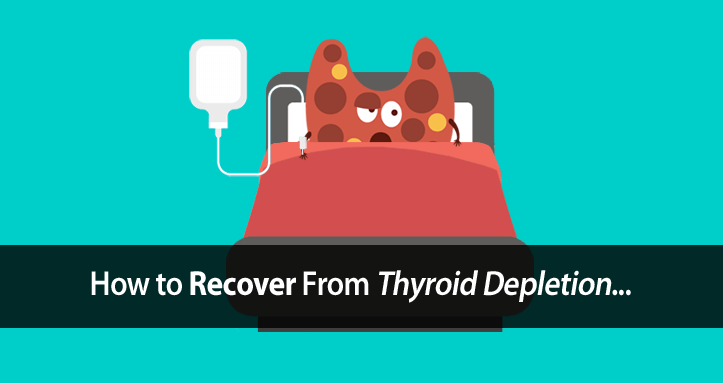 After a few months we would re-evaluate, and determine the next step of the thyroid recovery process. Don’t get me wrong, Sarah’s case is one of extreme and prolonged stress. 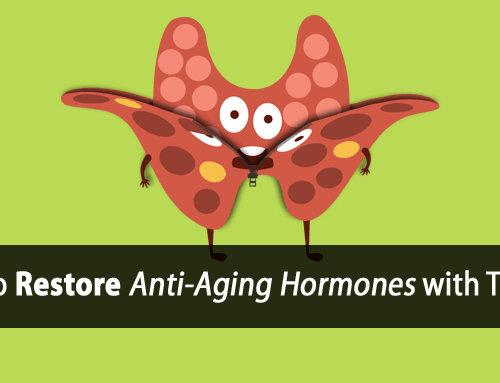 Yet, if you suffer from hypothyroidism, your body compensates by over-producing stress hormones. So, all thyroid sufferers are at risk of thyroid depletion. Some have just become more depleted than others. So you could have more in common with Sarah than you might think, even if you (hopefully) aren’t experiencing her range of symptoms. Like I said before, if the demands on your body outweigh the body’s nutritional and hormonal resources, really bad things can start to happen. 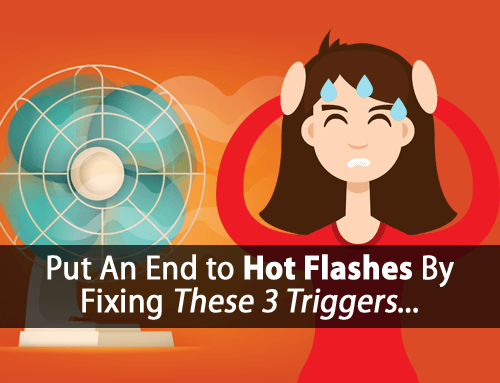 We can prevent, or at the very least, minimize the risk of this happening by making sure the body has all the resources it needs to deal with all the stresses that modern-day life has in store. 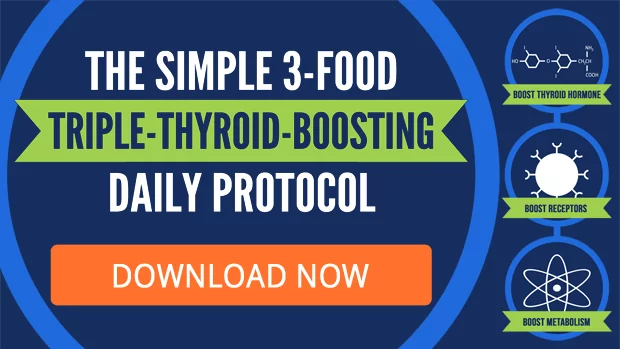 A great place to start is to download Forefront Health’s 3 Food Triple Thyroid-Boosting Daily Protocol. It’s easy and highly effective at getting your body what it needs to support healthy thyroid function and get you back to feeling like the happy, healthy you. Just follow the simple instructions and you’ll notice the difference. Stop waiting to feel better and download it today.